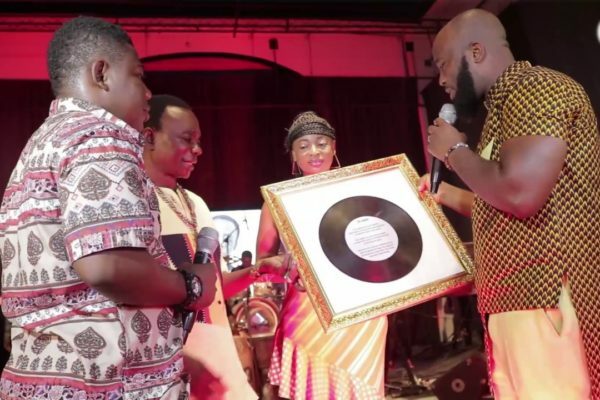 Musician Trigmatic has honoured some veteran Musicians to mark 10 years of doing music. Dubbed ‘My Life Concert’ it was held at Alliance Francaise on January 26, 2019 with a beautiful mix of highlife, reggae, dancehall and afrobeats in grand style. The show paid tributes to South African artiste Hugh Masekela , highlife giant J.A. Adofo and ace guitarist Aka Blay. There was a story-telling session with Trigmatic’s primary school music teacher & renowned flutist (Dela Botri) who joined him later on stage to do a few songs. One of the highlights of the show was when A.I. come on to sing gospel worship songs with Trigmatic. J.A. Adofo’s son also was on board to do renditions of two of his father’s classics. Gyedu Blay Ambulley brought some excitement to the concert with his style of rap. Other artistes that performed were Yaa Yaa and NaaYaa. Also present at the concert were the Deputy High Commissioner of South Africa H.E Thapelo Madumane who also accepted a citation of honour on behalf of Hugh Masekela’s family. Trigmatic’s ‘My Life Concert’ concert will be replicated in Kumasi, Takoradi, Cape Coast and finally end in Tamale before his album launch concert. The premiere is expected to attracted all who matter in the movie industry and beyond. On Friday Yvonne announced the movie with the release of its trailer on her Instagram. 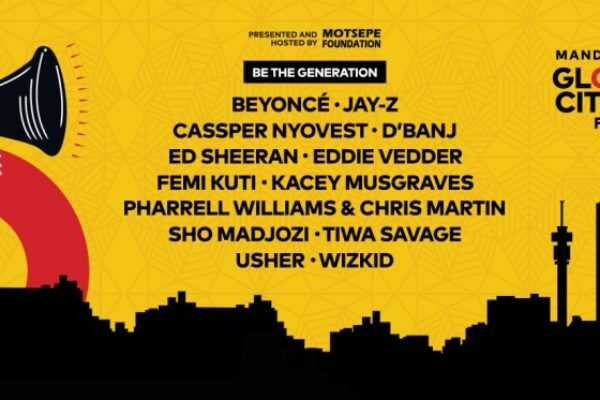 Beyoncé, JAY-Z, Ed Sheeran, Usher, Tiwa Savage, Wizkid, Cassper Nyovest and more will be performing at Global Citizen Festival Mandela 100 on the 2nd of December 2018 at the FNB Stadium. Responding to Nelson Mandela’s call for us to be the generation to end extreme poverty, artists and leaders will be joined by 100,000 Global Citizens who’ve taken action on the Global Citizen social advocacy platform to earn their free tickets to the festival at FNB Stadium in Johannesburg. The Mandela 100 Festival, in partnership with the House of Mandela, will serve as the capstone event of Global Citizen’s year-long Be the Generation campaign, inspired by the revered former leader of South Africa and his lifelong dedication to rallying people together to use their collective voices to speak for the most marginalized people. Global Citizen Festival Mandela 100 hosts include Naomi Campbell, Bonang Matheba, Sir Bob Geldof, Gayle King, Tyler Perry, and Forest Whitaker. On 2 December at FNB Stadium, Global Citizens who earn their free tickets will see a music performance of a lifetime, as artists from around the world gather on our stage alongside world and corporate leaders, activists and advocates. Those who sign-up at GlobalCitizen.org.za, you can earn bonus rewards and early access by referring your friends to Global Citizen. The host of the show is none other than Trevor Noah and he President of South Africa, Cyril Ramaphosa will address the festival crowd as a keynote speaker. Over 125 artistes from the African continent and other parts of the world are billed to participate in the AFRIMA awards which will take place from November 21 to 24. 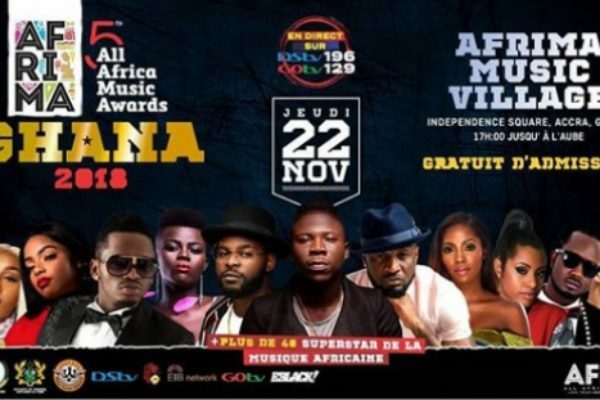 The organisers disclosed that the 125 artistes coming for AFRIMA will be accompanied by the managers and dancers, adding that the African Union (AU) has also sent a 24-man delegation to attend the event while local and international media will also be present to cover the entire event. The Vice Chairman of the National Planning Committee for All African Music Awards (AFRIMA), Nana Anim, in an interview with Happy FM, said, “We are expecting over a thousand foreigners in the country all because of AFRIMA; so just imagine the monies Ghana will get from hosting the event. Activities scheduled to precede the main awards ceremony include the AFRIMA welcome soiree; Africa music business summit; AFRIMA music village; media interviews/meet & greet and a tour of the historic Elmina Castle in Ghana. Among Ghanaian artistes nominated in various categories at this year’s AFRIMA are Kidi, Kuami Eugene, King Promise, Sarkodie, Stonebwoy, Efya, Ebony, Joe Mettle and Becca. Democratic Republic of Congo-born international recording artiste and rapper, Maître Gims, and South Africa’s fast rising songstress and songwriter, Shekhinah, received seven nominations each to emerge highest nominated artistes for the fifth edition of AFRIMA. 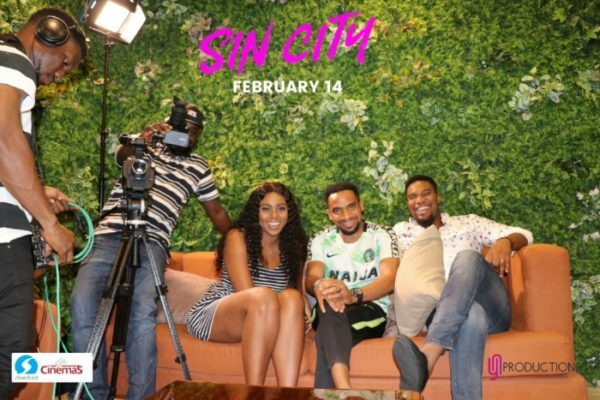 Closely following the top contenders are Tanzania’s Diamond Platnumz and Ethiopia’s Betty G, who each earned six nominations; while Simi (Nigeria) and Nasty C (South Africa) got five nominations each. AFRIMA is to reward and celebrate musical works, talents and creativity around the African continent while promoting the African cultural heritage. The four-day event, according to the event organisers, is packed with various activities about the creative arts. This is the first time Ghana is organising the prestigious event. 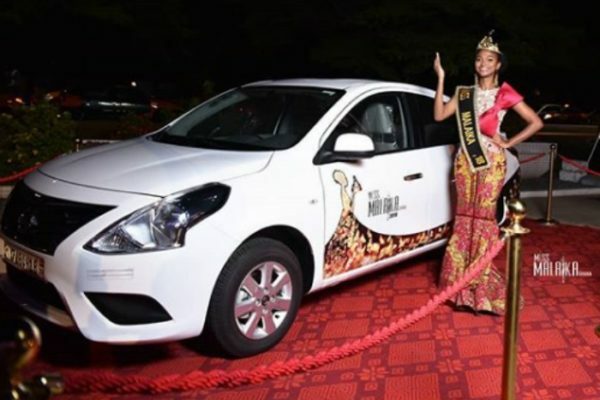 The 2018 Miss Malaika pageantry was finally brought to a close on Saturday, November 3, 2018 at the National Theatre in Accra. In what was a keenly contested competition, Mariam Owusu-Poku emerged as the enviable winner in this year’s contest. Mariam, who is a Business Administration student at the University of Ghana, beat off stiff competition from nine other contestants to emerge winner. The 2018 Miss Malaika final had a star-studded cast with Joselyn Dumas, Jackie Appiah, Naa Ashorkor, James Gardiner and Lexis Bill constituting the judging panel. All 10 finalists of the competition took turns to perform, gave various speeches and cat-walked gorgeously in their elegant apparels in a bid to impress the judges. However, it was Mariam who shined brightest at the end of it all as she was crowned the new queen of the pageantry. Evelyn also emerged as the 1st runner-up, while Rosetta came in third-place at the 2018 Miss Malaika contest. Meanwhile, the event was also graced by some of the best performers, including MzVee, Kuami Eugene, KiDi and Wendy Shay. The fifth edition of the ‘Ashaiman To Da World’ concert was held last Saturday at the Saka Saka Park at Ashaiman. The musical concert, which was organised by Stonebwoy, attracted over 30,000 thousand music fans from all walks of life. It witnessed historic live performances from rapper Sarkodie, Stonebwoy, Samini, Kofi Kinaata, Lilwin, Kwaw Kese, Edem, Guru, Teephlow, D-Black, Freda Rhymes, Kelvin Boy, Episode, Article Wan and a host of others. Sarkodie’s performance at the concert will be remembered as the best put up by any artiste this year. 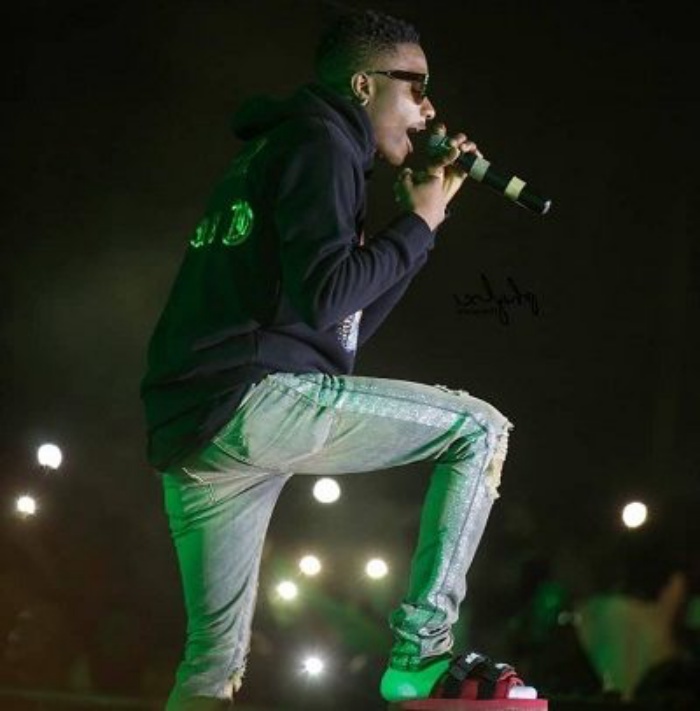 The BET award winner delivered on his earlier promise to provide the best of entertainment for his fans at Ashaiman on the night. He was, indeed, one of the best artistes on that night. Known for delivering mid and fast tempo songs, Sarkodie dished out most of his popular songs. His great vocal versatility, dynamic movements and general stage charisma got the fans applauding non-stop during his performance on stage. Lilwin also made his presence felt on the night as he arrived on stage in his ‘Superman’ outfit and delivered an excellent performance. Other artistes such as Guru, Kofi Kinaata, Kwaw Kese and Edem also performed creditably to the satisfaction of music fans present at the event. They left no stone unturned at the show, as they gave out hits in continuity to thrill music fans gathered at the event. Okomfo Kwadee, who was among the surprise artistes, performed most of his popular old tunes. When Kwadee took over the stage, he performed brilliantly, wowing the music fans at the event. 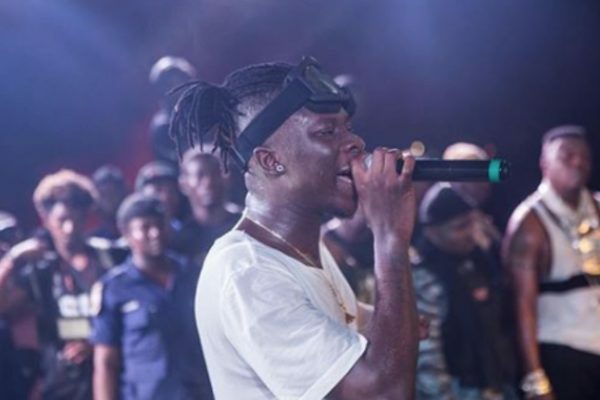 Stonebwoy and Samini also climaxed the concert with their outstanding performances. 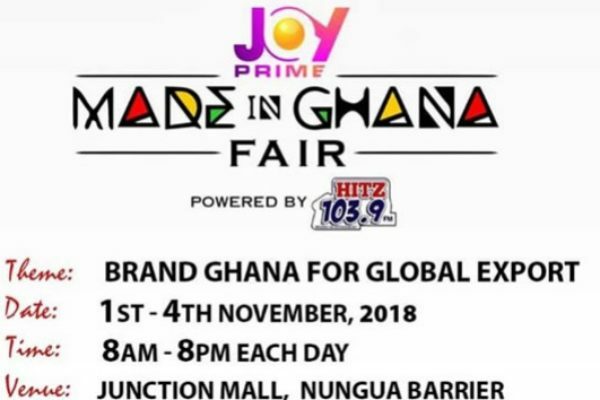 Joy Prime, a television channel on Multi TV, will hold the third edition of the Made In Ghana Fair at the Junction Mall at the Nungua barrier in Accra from November 1 to 4. 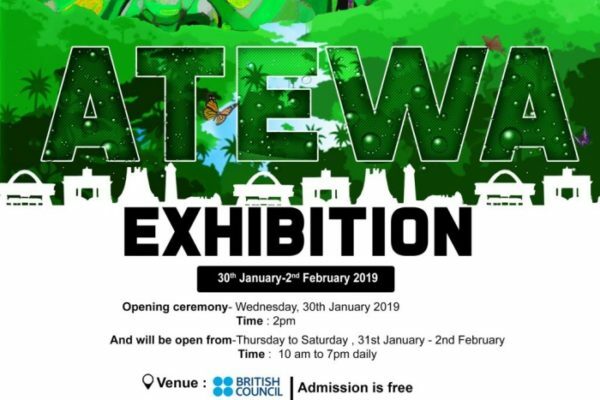 The fair, which is on the theme: ‘Brand Ghana For Global Export’, will focus on exhibiting Ghanaian originality, authenticity and rich culture. On display will be made-in-Ghana products like clothes, shoes, bags, jewelleries, chairs and many others. This year’s edition of the fair is packed with a lot of activities to keep patrons entertained as they shop for products made in Ghana. The opening ceremony on Thursday, November 1 will host a full exhibition of made-in-Ghana products. The second day will witness a disc jockey (DJ) competition between Ghana’s top DJs at 8:00pm. On Saturday, November 3 at 7:30 pm, there will be a fashion show which will provide the platform for Ghanaian fashion designers to display on the runway some of their exclusive designs. The final day of the event will afford patrons the opportunity to get acquainted with their favourite radio and TV presenters of Joy Prime and Hitz FM in a cooking competition at 3:00pm. There will be live musical performances from some selected Ghanaian artistes, including Okyeame Kwame. This year’s event is powered by Hitz 103.9FM and proudly sponsored by Suzzy Herbal, Virgin Pot Cosmetics, Olive Paints, Justy Fashion Limited, Awo Kormi, Koko King, Kaeser Apple, Piano Bar, Power Health Products and Home Foods. WHO WEARS THE MISS MALAIKA 2018 CROWN? Exactly 16 years ago, a thought was conceived, ‘to give women in society a voice, an opportunity to showcase women as not just beautiful on the outside but also smart, intelligent, bold and most importantly to give them a chance to give back to society and be role models to upcoming generations. From that thought, Miss Malaika Ghana was birthed, and after producing 15 queens, it is time to crown another; and come Saturday, 3rd November, 2018, the battle for the cash, car and crown will be settled at the extraordinary grand finale of Miss Malaika Ghana 2018 at the National Theater. Started in 2003, the pageant has successfully changed the many negative misconceptions about beauty pageants in general. It has produced amazing women of substance who have in one way or the other impacted society positively in their various fields of endeavor. From health to law to the entertainment industry, the Malaika brand impact can neither be downplayed nor over emphasized. The brand year in year out, with the projects embarked on by its delegates and eventual winners have touched a lot of lives in Ghana. The journey of the 2018 edition of the reality TV show begun on Friday, 13th July at the plush Tomreik hotel where hundreds of beautiful ladies showed up to get a chance to change the course of their lives. Many were those with hopes of being part of the finalists, but at the end of screening, only 16 made it to the competition proper. The 16 delegates, for weeks have been taken through an intensive grooming and learning processes which have shaped them into assets for society. From communications to catwalk, personal outlook to entrepreneurial skills etc. The highlights of their experiences however are the charity projects, where the ladies donated to 3 Cerebral Palsy centers in Ghana. As custom would have it however, 6 ladies were unfortunately evicted based on their performances on weekly tasks and of course, your votes, leaving it out to the final 10; Anne, Dela, Mariam, Rosetta, Gloria, Ambraya, Evelyn, Afia, Gesa and Jennifer to battle it out for the coveted crown that currently sits on the head of Miss Pearl Nyarko (Miss Malaika Ghana 2017). Gearing up to give the audience incredible performances are some of Ghana’s finest show stoppers; the lynx three made up of the Adiepena Hitmaker, Kidi, current VGMA new artiste of the year, Kuami Eugene, BET nominee and dancehall sensation, Mzvee and the freshest kid on the block whose music is rocking the airwaves, Wendy shay. Very limited tickets are currently on sale at Charterhouse, Xmen, Nallem stores in the Accra Mall, Junction Mall and Osu Mall for 100 cedis only. Miss Malaika Ghana is produced by the nation’s biggest event company, Charterhouse and is proudly sponsored by UB Hair Relaxer, Awake Mineral Water, Carnival, Infinix Mobility, British Council, Volta Serene Hotel, City Escape Hotel, Premium Motors, TLC Electronics, Taxify, Adansi Travels, Gold Coast Restaurants, Henry’s Inn, Jumia travel, Jumia foods, Koppan Hospitality, GTP, Glams Make-up, Kenya Airways, Holy Trinity Spa, Tomreik Hotel, Max TV, TV7, Pluzz FM, YFM and GhOne TV. 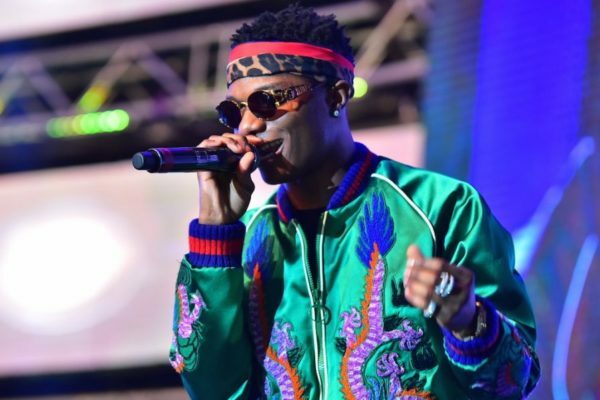 Nigerian superstar musician, Wizkid, wrapped up performances for the Glo Mega concert in Accra on Saturday night in a rather casual fashion. He came on stage in a black hoodie over a pair of jeans. Underneath it was his pair of slippers over pair of his socks. However, minutes into his performance, he paused to render an apology to the fans and respectable people in the audience, asking them to forgive him for wearing a pair of slippers on stage. He explained he meant no disrespect; rather it was because he arrived in Ghana an hour to his performance. That, he revealed, prevented him from wearing something else. “Ghana… I like to take this opportunity to apologise for performing in slippers,” he added briefly. The Glo concert was held at the Fantasy Dome on Saturday night and it ended Sunday morning with all the glitz and glamour. There were great performances from some of Africa’s celebrated artistes like Patapaa, Stonebwoy, Flavour, Yemi Alade, Sarkodie, Davido and Wizkid. The MCs were Juliet Ibrahim and Gordons from Nigeria. Stonebwoy had a great show. He performed most of his popular songs and the crowd cheered him throughout the performance. Intermittently, he paused and engaged the crowd while they sang along with him. After him was Flavour, who entered the stage with the beautiful rhythms of his ‘Ada Ada’ song and also thrilled with his other hits. Flavour wrapped his performance at12: 44am and then Gordon took over for almost 20 minutes doling out jokes to pave the way for Sarkodie, whom he described as Africa’s number one ‘rap god’. Sarkordie performed most of his songs to the satisfaction of the crowd. He also brought social media viral video star, Supa, on stage to join him at a point. After him was Davido, who was also great on the night. Wizkid wrapped up the performances of the night. During his performance, he introduced King Promise on stage for a short performance, suggesting the two of them may have something coming up.